Nicholas Garrett studied at the Trinity College of Music and is the recipient of a Wolfson Foundation Award. He made his debut at English National Opera as Baron Douphol LA TRAVIATA, sang the Title-role THE VISION OF LEAR by Hoshio Tosokawa at the Royal Opera House, Covent Garden, Linbury Studio Theatre and also Fiorello IL BARBIERE DI SIVIGLIA for the Opera National de Paris, Bastille. He appeared in the Title-role DON GIOVANNI for Opera Holland Park in 2002 and went on to sing Angelotti TOSCA in David McVicar’s production for the English National Opera. Other roles include Colline LA BOHEME for Scottish Opera Go Round; Sven VAUDEVILLIAN LOVE LIFE for Opera North; Commendatore and Masetto DON GIOVANNI for Pimlico Opera; Sparafucile and The Count of Monterone RIGOLETTO, Title-role LE NOZZE DI FIGARO and Nourabad PEARL FISHERS for English Touring Opera; Ben THE TELEPHONE for the Buxton Festival 1997; Sourin QUEEN OF SPADES for Scottish Opera and Jenkins OF THEE I SING for Opera North. Nicholas Garrett’s concert work spans all the major oratorio roles and song recitals including his Queen Elizabeth Hall debut in 1996 with Shostakovich’s Six Romances Op. 62 and Luciano Berio’s Sinfonia at the Boulez Festival in Tokyo 1995. After a sensational debut as Carl-Magnus A LITTLE NIGHT MUSIC in 2009, Nicholas Garrett has been invited back each season to the Theatre du Chatelet for the roles of Max THE SOUND OF MUSIC and Anthony SWEENEY TODD and returned there in subsequent season for productions of SUNDAY IN THE PARK WITH GEORGE, Jigger CAROUSEL, Baker INTO THE WOODS, and Lieutenant Barri and Fosca’s Father PASSION. Other engagements have included Escamillo and Dancairo for Opera North’s new production of CARMEN (he has also recorded Zuniga CARMEN for Chandos), A Flemish Deputy in the Bastille’s new production of DON CARLO and Captain Gustl von Ploetz THE LAND OF SMILES in Penang. He has also sung the roles of Nikitich and Chernikovsky BORIS GODOUNOV for Opera de Nantes, a Gralsritter in Scottish Opera’s production of PARSIFAL and appeared as Pish Tush in Grange Park Opera’s production of THE MIKADO. He has sung Escamillo CARMEN, Don Basilio IL BARBIERE DI SIVIGLIA, Scarpia TOSCA, Title-role DON GIOVANNI, Don Alfonso COSI FAN TUTTE for Opera Holland Park and roles in Alexander Goehr’s operas KANTAN and DAMASK DRUM for Almeida Opera. 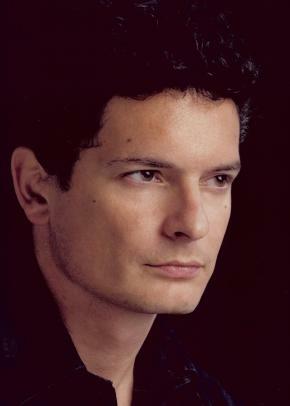 In 2001 Nicholas made his debut with the Royal Opera House Covent Garden in performances of PALESTRINA. In 2006 Nicholas created the roles of Federzoni and Sagredo in the world premiere of Michael Jarrell’s GALILEE at the Grand Théatre de Genève and sang Laurent in the European premiere of Tobias Picker’s THERESE RAQUIN at the Linbury Studio Theatre of the Royal Opera House, Covent Garden. In 2007 he returned to the Royal Opera House mainstage for Pinellino GIANNI SCHICCHI and to the Linbury Studio Theatre for Wolf and Cinderella’s Prince INTO THE WOODS. Recent credits include a 5:15 project for Scottish Opera and has sung Scarpia TOSCA for Opera Holland Park in a critically acclaimed production by Stephen Barlow. He has sung Escamillo LA TRAGEDIE DE CARMEN for English Touring Opera; sang the Title-role DON GIOVANNI for Opera Holland Park and created the role Edmund in English Touring Opera’s production of THE PROMISED END by Alexander Goehr. Other recent operatic roles included a return to Opera Holland Park for Don Alfonso COSI FAN TUTTE. He also made his Spanish debut at the Teatro de la Zarzuela in Madrid in LADY BE GOOD and was invited back to Opera Holland Park in London as The Minskman FLIGHT.